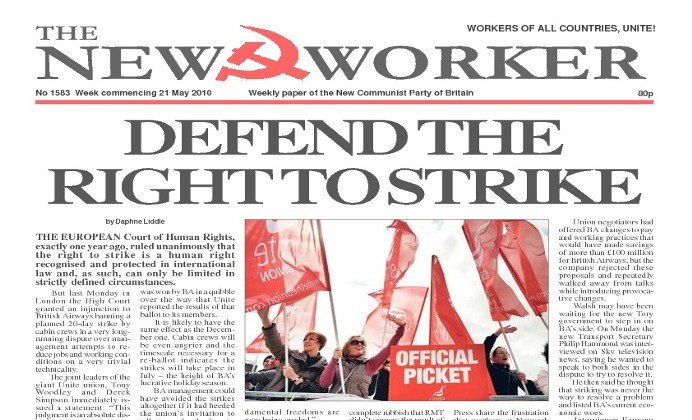 THE EUROPEAN Court of Human Rights, stated that the right to strike is a human right recognised and protected in international law. But in Britain the courts ban a strike by cabin crews on a very trivial technicality. The Labour Party vote didn't collapse. The draconian measures being put forward by the Tory-Liberal Democrats will quickly be very deeply unpopular.